HTC U play introduces a new, beautifully contoured, liquid surface that designed to reflect the best you, HTC releases more series this year to its best satisfaction, one of the latest release is HTC U play which has good quality design with numerous features. 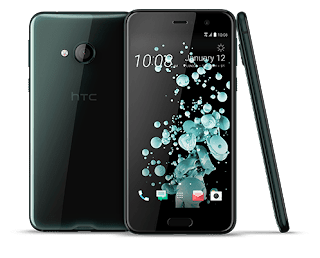 HTC develop an entirely new process where colors bond to the glass in multiple layers to reflect light beautifully, adding brilliance and depth from every angle.With HTC you understand the power of U, it is designed with playful 5.2-inches screen that fits perfectly in your hand. It reflects U, with a sophisticated new liquid surface. It listens to U, adapting sound to your unique hearing. It captures the best U with 16MP & Ultra Selfie camera . And it even learns from U, becoming a companion that evolves and gets to know you better over time. The new selfie camera on HTC U Play lets you easily switch between 16MP and UltraPixel. Now you can choose between the unparalleled 4x light sensitivity* that UltraPixel offers (perfect for candlelit dinners), and the high resolution detail that 16MP provides. HTC U play is design to give you best performance, you have maximum Storage and RAM speed, 32GB & 3GB and 64GB / 4GB with extended memory.